Just remember to have fun and enjoy trying on all types of dresses! 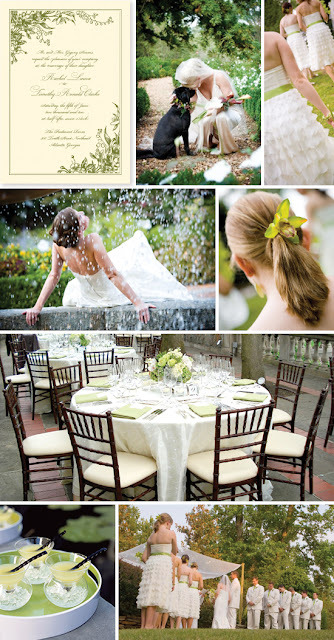 When choosing your wedding invitations, another feature you will want to decide on is the printing process. There are four main types; flat, thermography, letterpress, and engraved. Flat printing is where the letters are printed to create a smooth and flat design. Thermography is a printing process in which the letters are raised. 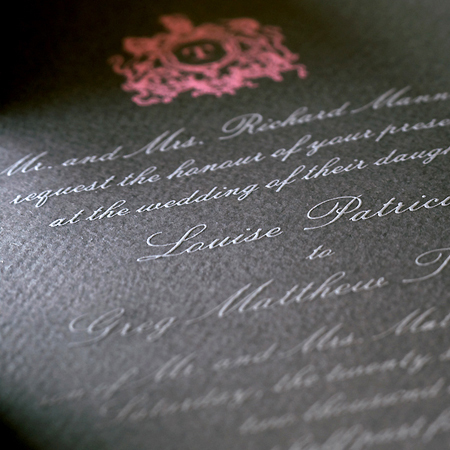 Letterpress creates a deep impression into the paper, producing an appealing texture, which is the opposite of engraving, which creates a raised texture. Engraving is the most expensive form, and considered to be the most elegant. The paper is pressed against a metal plate, causing the printing press to raise the letters on the paper. Batiste: A lightweight, soft, transparent fabric. Brocade: A Jacquard-woven fabric with raised designs; traditionally popular for fall and winter, now also worn in warmer weather. Charmeuse: A lightweight, semi-lustrous soft fabric, that is satin-like to the touch. Crepe: A light, soft, and thin fabric with a crinkled surface. Damask: Similar to brocade with raised designs, but woven in a much lighter weight. Duchesse Satin: A lightweight hybrid of silk and rayon (or polyester) woven into a satin finish. Dupioni: A finish similar to shantung, but with thicker, coarser fibers, and a slight sheen. Faille: A structured, ribbed finish like grosgrain ribbon; usually quite substantial. Gabardine: A tightly-woven, firm and durable finish, with single diagonal lines on the face. Georgette: A sheer, lightweight fabric often made of polyester or silk with a crepe surface. Illusion: A fine, sheer net fabric, generally used on sleeves or necklines. Jersey: A very elastic knit fabric; the face has lengthwise ribs and the underside has crosswise ribs. Moire: A heavy silk taffeta with a subtle, wavy design. Organdy: A stiff transparent fabric. Peau de Soie: A soft satin-faced, high-quality cloth with a dull luster, fine ribs, and a grainy appearance. Pique: A knit fabric with a waffle-weave appearance, pique has distinct sides. The outside resembles a honeycomb or waffle and the underside is flat and smooth. Rayon: Similar to silk, but more elastic and affordable. Silk: The most sought-after, cherished fiber for wedding dresses (and also the most expensive); there are several types with different textures: raw silk and silk mikado are just two examples. Silk Gazar: A four-ply silk organza. Silk Mikado: A brand of blended silk, usually heavier than 100-percent silk. Silk-faced Satin: A smooth silk satin, with a glossy front and matte back. Shantung: Similar to a raw silk, shantung is characterized by its rubbed texture. Velvet: A soft, thick fabric with a felted face and plain underside. 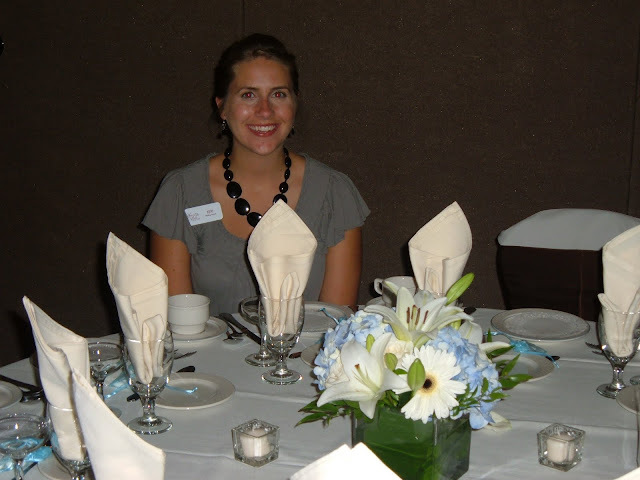 Tuesday August 16th The Knot hosted their annual event. Vendors from all over came to enjoy this wonderful cocktail party. It was hosted at the gorgeous Colony Club in downtown Detoit. 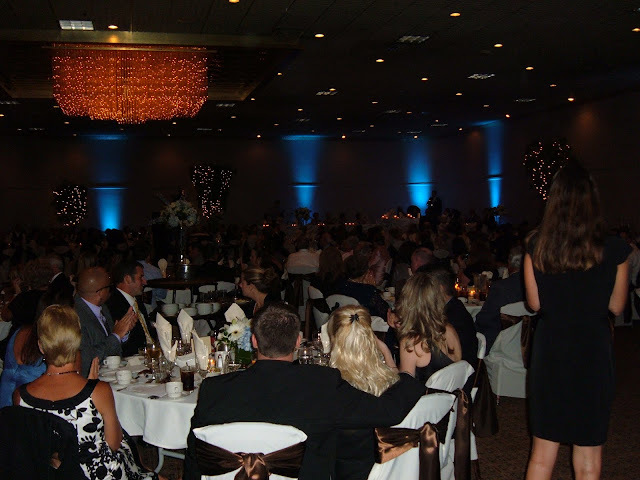 This beautiful venue can accomodate up to 400 guests in their grand ballroom and would be a great spot for a wedding reception. The guests were offered fabulous food, such as shish-ka-bobs, a mashed potato station, and even coldstone ice cream was there! Special guest host Editor-in-chief, Carley Roney was there to say a few words about the upcoming wedding season. 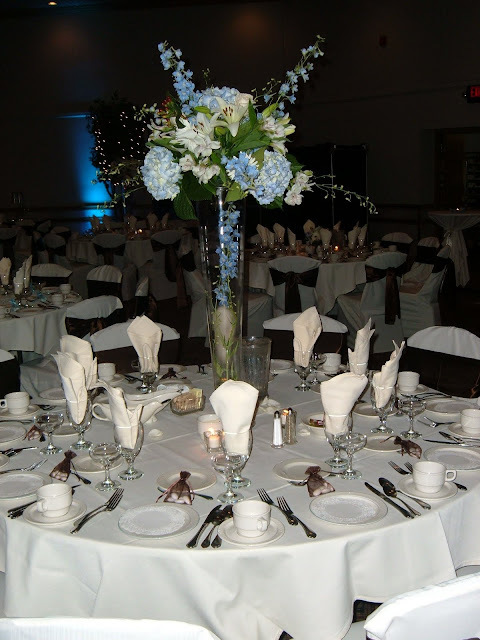 The hall was decorated in elegant shades of purple and lovely floral centerpieces with candles lined the tables. Their signature cocktail being served was a Black Cherry Martini and was absolutly delicious. At the entrance of the room were candy tables full of goodies. They even had a photo booth upstairs that we got to try out and get silly taking pictures in! It was fun networking and meeting all the other vendors at this event and I can't wait to attend more in the future! 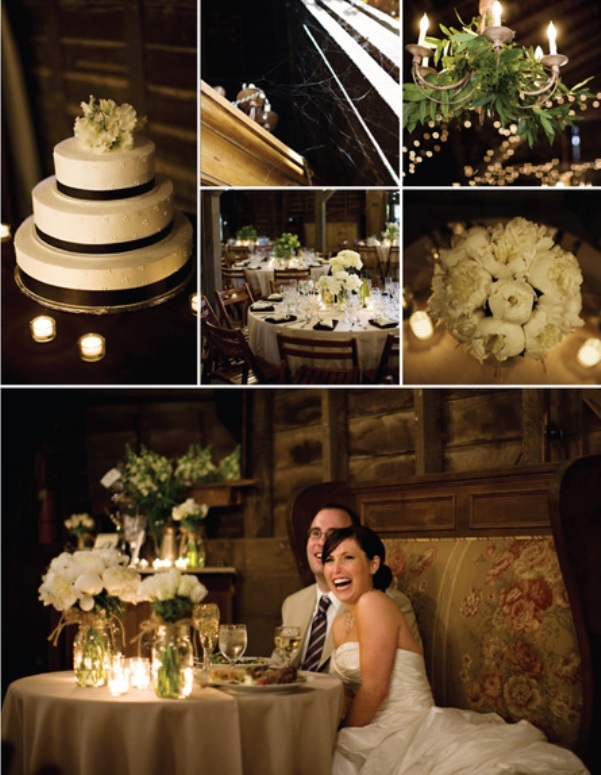 All images courtesy of Wilson Sarkis Photography. Thank you !! Serving food family style means that all the food is placed on the table in different dishes, and passed around the table. It creates a more casual tone than serving a plated dinner. It also allows your guests to have more choice and control over what they want to eat. For example, if a guest isn't a fan of the main meat entree, they can have more of the side dishes. And unlike buffet style, they don't have to wait in a line or wait for their table to be called up in order to eat with options. Keep in mind however, if you are serving fish, which some types break easily, it may not be the best choice as it is too diffifcult to serve each person from a platter. Having a plated meal means that each guests is served a pre-portioned plate with the main entree and side dishes. Generally doing this creates a more formal tone. An advantage of this is that your guests don't have to wait in line for food, and you have a lot more control over how long dinner is actually going to take. A disadvantage is that it limits their number of food choices, and there may be guests that don't like the food you are serving. Additionally, plated meals may not work well for guests who are vegetarian or have food allergies. Normally only two entree options are offered in a sit-down dinner. 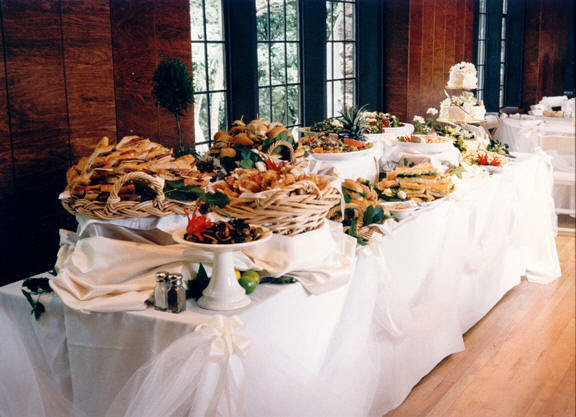 Buffet style means that one or two long tables are set up with the food choices. Sometimes this can be the cheapest option because it cuts down on the number of waitstaff needed. However, if you offer a wide variety of food options, it could run you more than a plated or family style dinner. The advantage of buffet style is that guests have complete control over what they want to eat, and how much of it. The disadvantage is that guests have to wait in line or wait for their table to be called. Because of this, buffet style dinners usually take longer than plated or family style dinners. -Do you have experience working with brides? 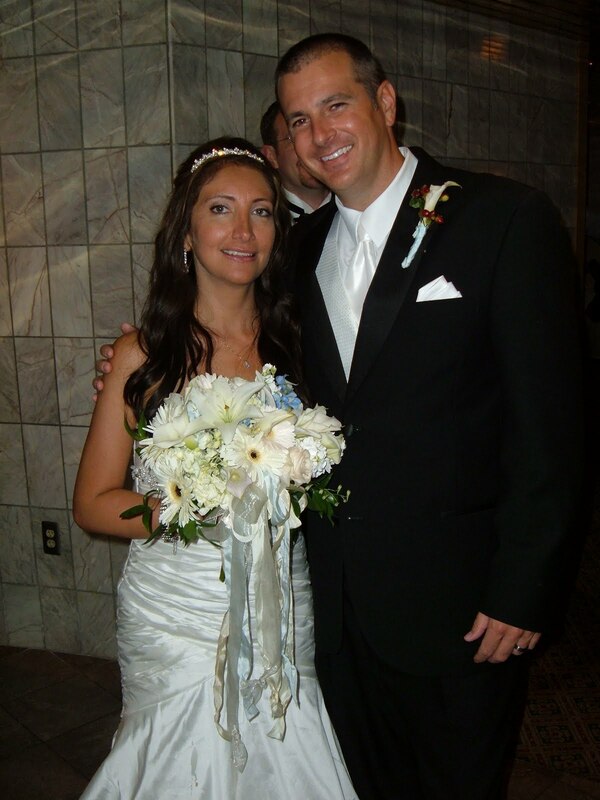 -Ask about her philosophy, what does she think a bride should look like on her wedding day? -What do you think would be best for me? -What if something happens and you can't make it last minute? Do you send a backup person? -Will I need to purchase and bring my own makeup? -How do you charge? By the hour? By the job? -Will you come to me? -Will you stick around for touch-ups? If not, can you teach me how to do my own? -Do you have references I can call? they live in Chicago. I loved them right away as they were so laid back and sweet! the ladies at the front desk where is the best Mexican place to eat and they all agreed the Beltline Bar. Doesn't sound Mexican does it ? Once I saw a cactus on the sign I knew I was in the right place. Wow were they right they had great food and I even had a margarita! Then I decided to go catch a movie as it's not that often I get to take time to myself so I found a movie theatre and bought a ticket. The movie wasn't going to start for a little more than an hour so I walked down to the Buffalo Wild Wings that was in the strip Mall to kill a little time. I ended up talking to this really nice couple Chris and April who were also waiting for a movie. Come to find out they were getting married on Monday at the JP and celebrating afterwards by going golfing! They were are really nice couple and I enjoyed chatting with them while we were both waiting. Congratulations to this happy couple too! Well Sunday there was a little rain in the forecast but Travis and Laurel remained calm and we sent everyone down the aisle with umbrella's. Kristen, a former Assistant of mine was a huge help to me that day with the set-up and tear-down. Ironically she lives in Kentwood near Grand Rapids so having her assist was perfect! Kristen was also able to arrange a hair stylist for Laurel and her girls since she had a friend who does this so that was very helpful. We also recommended the florist who did a great job on the floral and took Laurel's idea of using wine bottles and simple flowers on the tables. Thank you for letting You're The Bride share your day. Congratulations for many happy years! Before you head out to try on your wedding dress, keep these tips in mind to get the most of your fitting! -In order to get the best fit, bring all the items you'll be wearing under your dress, i.e hosiery, bra, body shaper, etc. 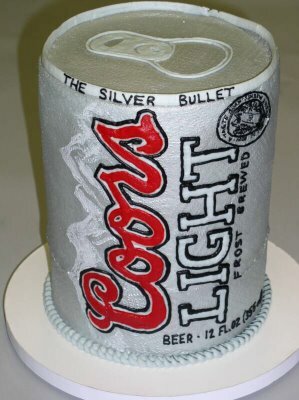 The groom's cake is a gift that is given by the bride, the bride's parents, or his own parents. 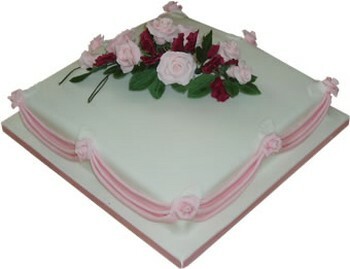 The cake is not meant to be as elaborate as the wedding cake and is often cooked by a family member. The cake is intended to be for the groom and any unmarried ladies that attend the reception. There is an old myth that the groom's cake should be cut into small pieces. They should then be wrapped in a napkin and given to all the single ladies. The night of the ladies place the cake under their pillow it is said that whoever she dreams of that night, she will marry. 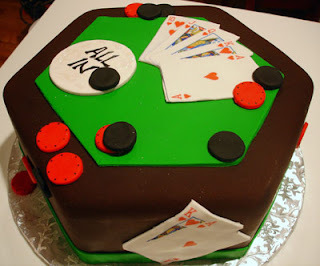 The groom's cake is usually decorated with hobbies or sports that the groom loves. Whether it is a simple cake or very elaborate it is sure to be something your groom will love! The wedding cake has a long history and tradition of how it all started. Wedding cakes date all the way back to the medieval times. Back then the wedding cake flavor was wheat bread and they would crack it over the brides head to encourage a fertile marriage. 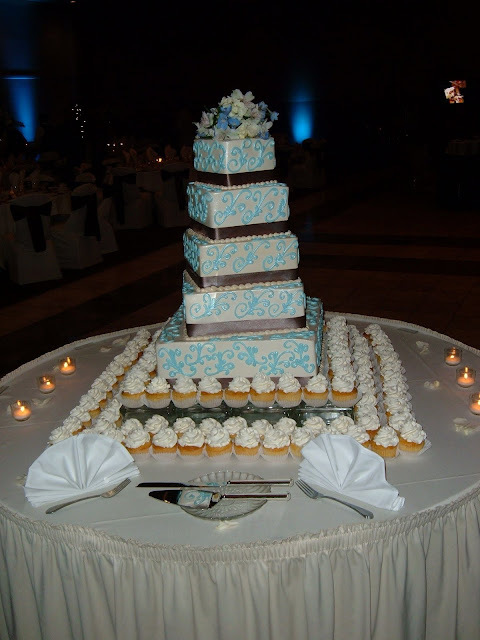 In England guests of the wedding would bring many small cakes and after they were all collected the bride and groom would stack them up and stand on top and kiss. In the 17th century a new dish called the bride's pie was introduced. It was said that the main ingredient was a "glass ring" and the girl to find it would be next to be married. By the late 19th century wedding cakes became very popular. These early cakes were simple one-tiered plum cakes. The cake cutting ceremony at a wedding is supposed to symbolize the first task a bride and groom perform together as husband and wife. The once simple wedding cake has now evolved into a multi-tiered extravaganza, which was originally reserved for English royalty only. Nowadays most bride and grooms save the top layer of their cake and freeze it to share and enjoy on their first wedding anniversary. Between the cost of weddings and moving in together, a lot of couples find they don't have the extra money they need for a honeymoon. 1. Consider a Honeymoon Registry- Some travel agencies and resorts offer a registry service and applies contributions from your guests towards your honeymoon expense, they can buy you anything from a nice dinner to golf lessons. 2. Talk to your Friends- Ask around if your bridesmaids or family members have a vacation home for you to use on your honeymoon. 3. 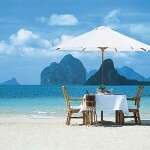 Consider an All-Inclusive Trip- Includes all you need for one flat fee. Room, food, drinks, activities, and more! 4. Travel during the Off-Season- Many families vacation between January-April so travel prices are higher. Wait until after these months for a much cheaper deal. 5. Stay Close to Home- The shorter the flight the cheaper the fare! To save even more honeymoon in the U.S. Try making your own wedding cake! It's not as difficult as it sounds, and it can save you a ton of money. Instead of forking out a fortune on chair covers and sashes, try printing one of these chair labels and putting them on the back of each chair. Public speaking is a thing feared by many people. 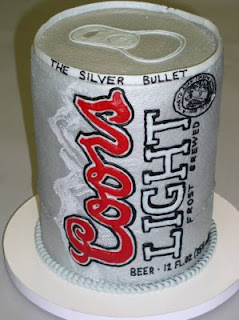 So when a bride or groom asks you to make a toast at their wedding it is not uncommon to feel very nervous about it. Preparing for a speech will make you much more relaxed and you will find it will be a lot easier when the moment comes. You should start by making a list of everything you want people to know about the couple. It is extremely important to make sure you talk about both the bride and groom. You can include memories, best qualities, or the first time they met. Lastly jot down ideas about what you wish for them in their future. Now that you have some ideas written down you can start to piece together what you want to say. Although you might think drunken stories or past relationships may be funny make sure you keep those for the bachelor(ette) parties. If you have trouble remembering you can write down the key points and use a note card when giving the actual speech. 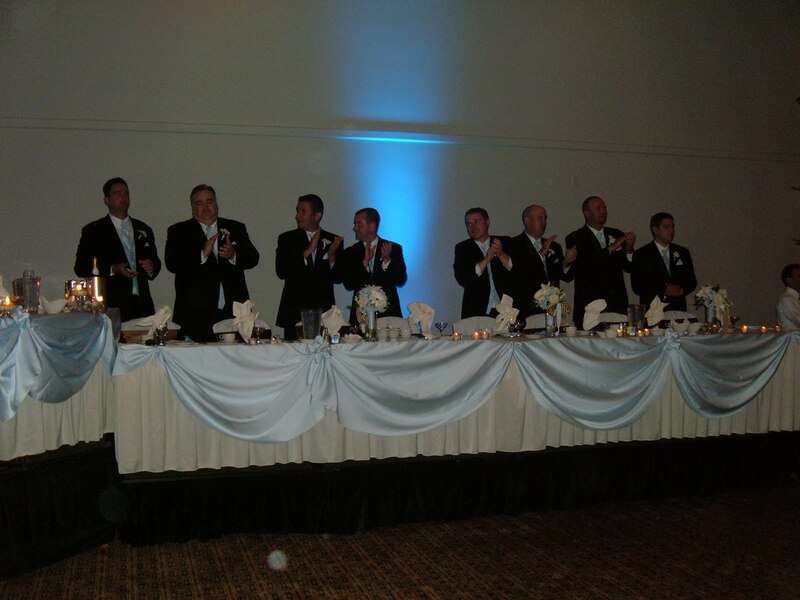 A toast should last no longer then three minutes, so you may want to rehearse in front of friends or family to see where you stand. Just remember the best toast is sincere and from the heart! Writing thank you notes is something you should take care of as soon as possible. If you need tips on how to write your thank you notes, here are some tips provided by Mindy Weiss's "The Wedding Book"
-Thank the guest for the gift. -Describe how you'll use it. If you're not sure, put your imagination to work. For a hand-painted ceramic soup tureen, you might say "It will look terrific on our table for our first Thanksgiving dinner." Avoid vague, all-purpose phrases such as "Thanks for the great gift. It's sure to come in handy." It should be clear that you couldn't possibly describing any gift other than theirs. -State how lovely it was or will be to see them at the wedding. If they were unable to attend but still sent a gift, express how sorry you were that they weren't able to be there. If they did attend, add a personal observation- a compliment about how they looked, how beautifully they danced the samba, or their joke that had the whole table in stitches. -Make a reference to a future visit or get-together, and if you can tie it back to the gift, so much the better: "We look forward to having you over for cocktails soon and putting that gorgeous martini shaker to work"
Tricia heard about You're The Bride based on the recommendation of another happy client and through her Aunt back in May. 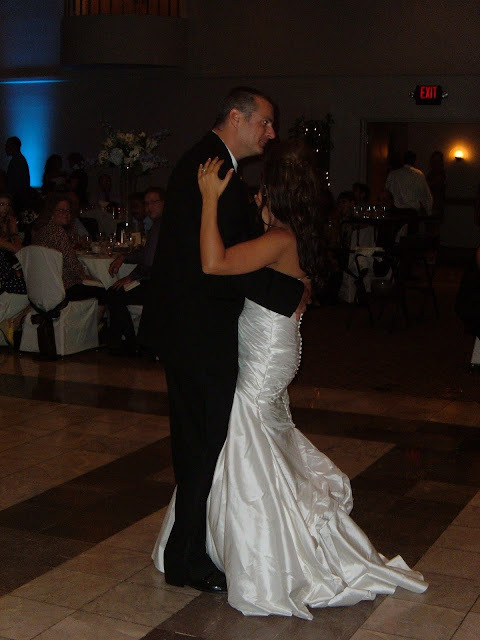 She booked us for Day-of Coordination so she could just relax and have fun on her wedding day and that she did! We took care of all the details so she didn't have to worry. 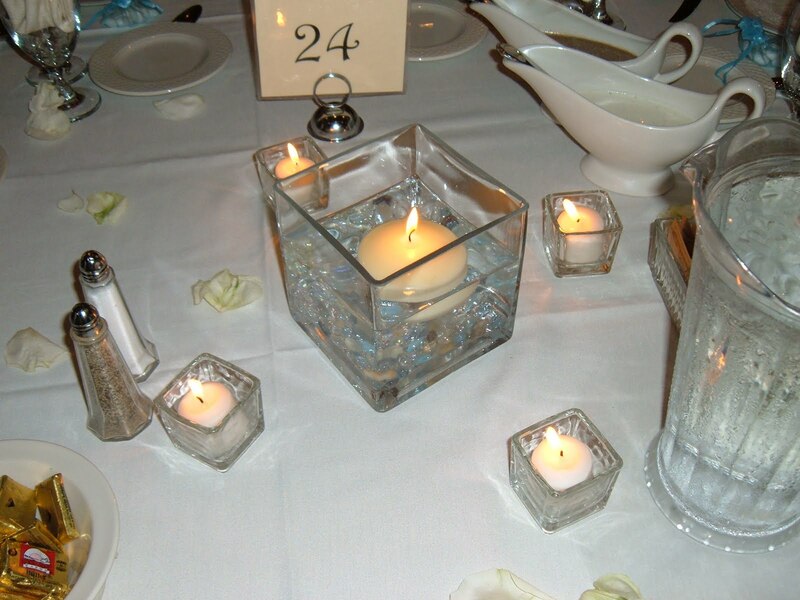 The bride chose 3 different table looks for her reception. Keri, my Assistant with the 3rd table look. 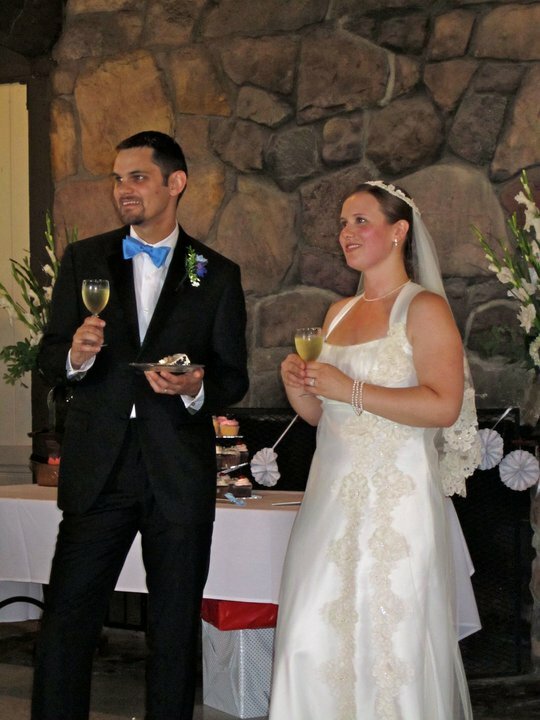 They had over 335 guests at their Big Italian wedding so of course she gave Jordan Almonds to keep with tradition! Also, check out her huge wedding cake. She decided to offer her guests a signature drink was a "Dreamsicle" which consisted of Sunny D and Captain Morgan. The Bridesmaids and Groomsmen were cheering them in for their Grand Entrance! 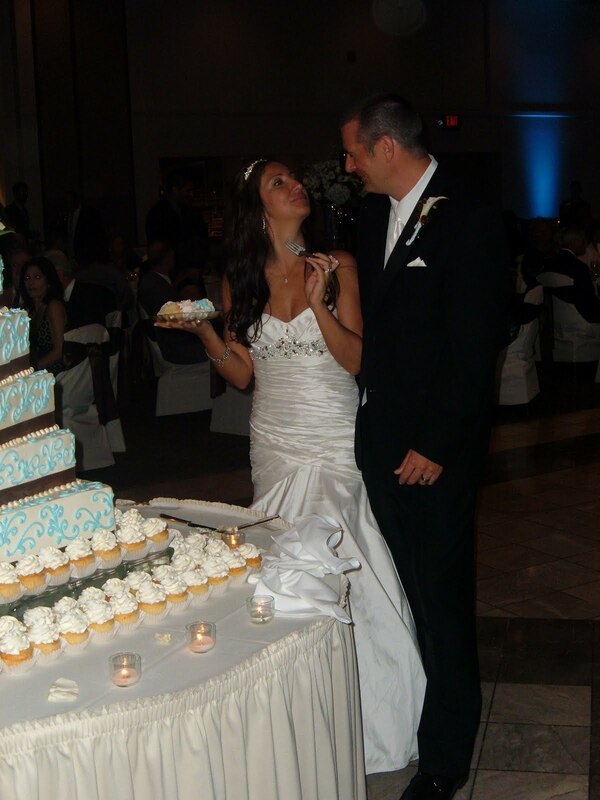 Tricia was so funny trying to get their first slice of cake! She was having so much fun! Now to give a bite to her handsome new husband! They sure had a great time! The new Mr. and Mrs. Owens honeymooned in Mexico. Thank you for letting us be part of your day! Nania and Aaron are getting married in just a few weeks on August 20th at The Michigan League on the campus of U of M and it's going to be great! You're The Bride is so excited to be helping this couple with their special day. 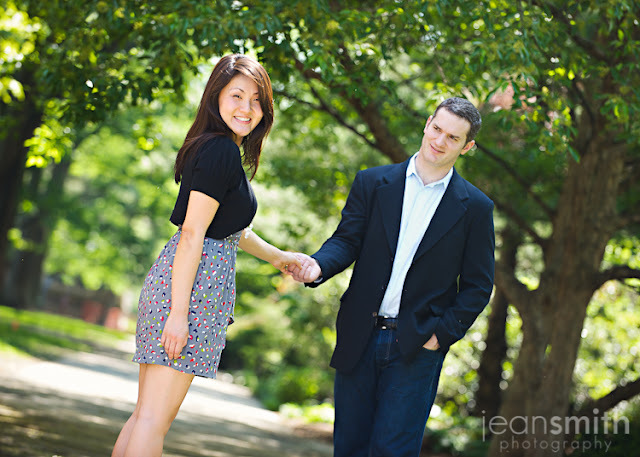 Here are a few of their beautiful engagement pictures from Jean Smith Photography!